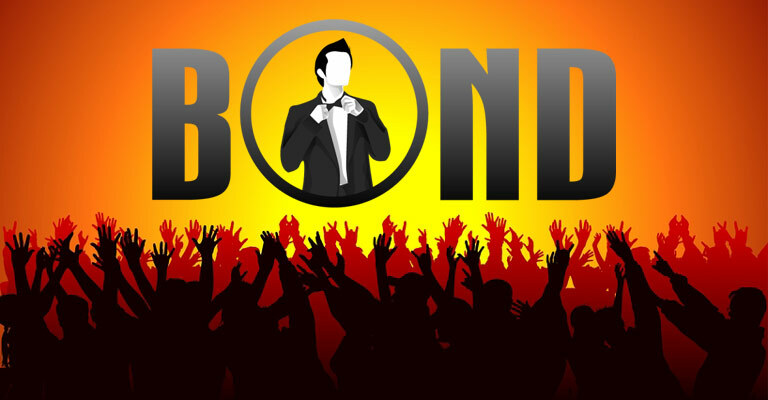 I am a big believer that if you have the means, the outfits and brands, Bond wears are the ones to get. They often are of a higher value in both investment and construction. That being said, we don’t all have Mi6’s unlimited expense account and through the years the Frugal Bond articles and videos have been appreciated by everyone, whether they have the means or not. SkyFall offers us a wonderful opportunity since some of the actual brands could be thought of as Frugal Bond brands. Cos, Zara, PTI jackets, and even Dents gloves won’t break the bank, but BR, Levis Vintage Line, and Barbour may be too much for some. 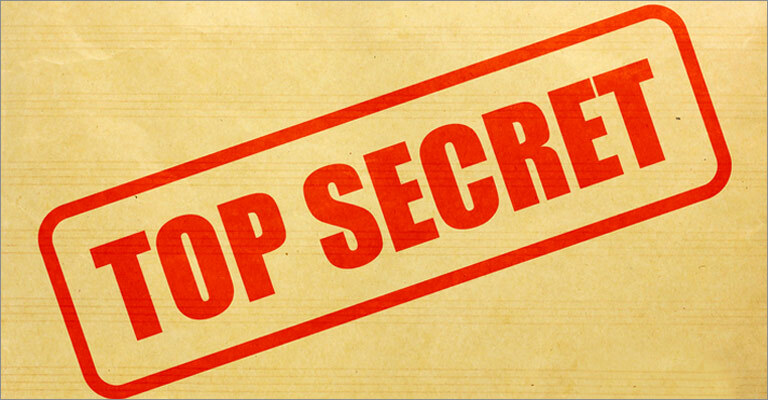 We are working on some very special Frugal Bond videos in a new format I know you will love. In the meantime, what Frugal Bond items have you found? Share below with others. A classic zip-front leather jacket is styled with two slant pockets, seaming details at front, and adjustable snap cuffs. I was looking at that same exact jacket the other day on amazon but you would somehow have to find a way to add button cuffs to it. David, great find sir! I actually noticed the Old Navy has been going “all out Bond” recently. They have the Shawl Collar Cardigan in Navy Blue per the Tom Ford. Also they have a nice rugged coat resembling the Barbour KiToKi. It’s not waxed, but has rugged appeal to it; also I think you can remove the “fur” on the lined hood. I also found a distressed leather coat on eBay. 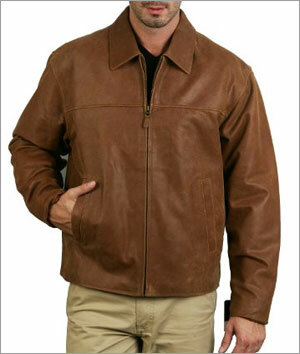 Has the brown distressed look and more like a mechanic’s jacket. Sham, excellent additions…KEEP em coming! Very cool David! Enjoying your website! Quite amazing. If anyone is looking for Sunspel like Polo shirts, go to the following link. Khols has had an outstanding frugal Bond collection. the sunspel has the left front pocket though. Frugal bond at Khols AND the 007 cologne…if you like that sort of thing. I like kohl’s thats wear I got my shanghai v-neck sweater on sale for 27.99 and its pure merino wool. I second the Old Navy cardigan choice. My bond pick was actually a black, lighter weight one from the Gap but I bought the maroon Old Navy version as a tribute to McQueen in Bullitt! Don, that alternative really hits the mark….nice one! Keep them coming…perhaps this blog could act as a list of items that people can cull through. I picked up that Club Monaco shawl cardigan as soon as I saw it- it’s a great piece albeit not very comfortable. It is only part wool (the other part being synthetic) but it certainly is warm and resembles the Tom Ford- though with a thicker shawl. Looks great with a white t, Aqua Terra, and a pair of levis though (to mix my Bond references). Great site David! Thank you! I realize that I’m about 4 years late to the party on this one, but I recently purchased a black shawl cardigan at Saks for $200. I was fortunate enough to catch a sale and walked out the door with it for $120. If there is a sweater that is closer to the TF cardigan than this one, I would like to see it. I hope this bit of info helps all my fellow Bond afficionados who would like to preserve their children’s college fund for its intended purpose. Hey David, my compliment on your own page! Great site, really enjoying to discover everything. but I like this blog alot. Unfortunately I don´t have money to collect all the bond items I like, but I keep on searching for nice replicas or stuff that look similar. I´m looking forward to own a Omega Seamaster Planet Ocean Skyfall-Edition one time, but I don´t have money yet. I was searching for a long time to find a qualitatively good and not sooo expensive alternative to a “bond watch” like the Omega´s. So I think I found a nice one though… DAVOSA Argonautic Ceramic. It´s an automatic, it has the black left turning luenette and the helium valve on the left side. To my mind it´s a beautiful alternative to an Omega. Alot of greetings from Germany! Forgot to mention the price! In EUR it´s 570,00 and in USD it should be something around US 700,00. Sven, your english is just fine…and the watch looks the part! Have you guys thought about Hamilton watche? the are featured in the movies, and they are decently priced with many sites like amazon offering them at a decent discount, for example Felix L, in QoS wears one, and so does Mathis too. This way you get a time piece and a bond collectible all at the same time. I was wondering what Daniel Craig wore under his Madagascar shirt at the start of ‘Casino Royale’. To me it looks like the grey Sunspel one he wears in the Miami Airport scene, and I also wanted to know if anyone knew a simliar belt to the one he is wearing in that scene. I think this is closest jacket I have seen to the Levi’s 1930’s Menloe jacket seen in SKYFALL. At $209.00 you can not beat the price. Damn…and even Merino wool…nice find! The best part is it’s on SALE! I picked up mine in store for just £42! I bought one for myself and one for my brother. Only a few sizes remain. The Derby store and the one in Newcastle Upon Tyne I had just a few left in stoke. I’ve considered added the leather trim to the pockets and the back of the collar to make it look closer to the on-screen one. My friend Rich managed to pick me up the H&M budget ‘Enjoying Death Shirt’ from the H&M in Newcastle Upon Tyne. I also have picked up a budget black V neck from Burtons for just £20. I’ve put the MI6 training top on order but have requested a plain as I’ll get the logo added myself. There was stuff from Zara in Skyfall? Ravi, the shirt Bond wears when he is enjoying death was a Zara…email the company and HOUND them into making more! I came across this coat from Banana Republic which is similar in some ways to the Barbour jacket Bond wears in Scotland. The jacket is not inexpensive but it certainly doesn’t hit Barbour heights. Unfortunately, I am not sure if it is available outside of Europe. This Shoes maker: http://www.clarks.it/products/mens does bondish style shoes. It has boots similar to the ones Bond wears in the Scotland scenes, and also Church’s look alike. Also this italian trousers maker, http://www.jeckerson.com/uomo/pantaloni.html does some things I’d like to see in Bond film. I was watching the Frugal Bond on Youtube and I was windering which $100 watch is a great substitute for the Omega Seamaster from one of the Craig films? I like the Invicta line. For under 100 you can get a look alike and not break the bank. Like my last post, I am not sure if this is available outside of Europe but I think this is very close on-screen Barbour jacket worn by Bond. Edmonds. Very similar to the Church’s Ryder, even the sole is similar. Still a little pricey, but a well-made boot. Thanks David et al. Nice place to look for links to more affordable gear. OR two, pick a scene and look for affordable gear that most closely re-creates this. For instance, I’m currently working on the Shanghai bar scene outfit with black V-neck sweater, white shirt, black tie, grey pants and the right shoes… but for me, I might tweak the scene a bit with a black cardigan instead of the V-neck. The key is to capture the style of the moment and bring it together in your own daily life. I’ll wear that outfit into my casual business work environment, and will enjoy the moment! And have fun with it! GOT MY JACKET YESTERDAY,IT IS OF REALLY GOOD QUALITY AND IT LOOKS EXACTLY LIKE THE LEVI.WILL POST PHOTOS WHEN I HAVE A CHANCE. note I plan on getting some of the items myself eventually once my finances are more secure and once I’ve finished getting in bond shape. OK…I delivered all my measurements a few weeks ago and a small package arrived today. I opened the package and screwed up inside was my suit…not the best start to the experience. I unscrewed the suit and tried it on…and…..
Its bloody perfect!! Perfect fit and i mean perfect! I dont need to make any alterations. The suit I bought is the light grey one from the beginning of Skyfall and its exactly the same. I have 3 words for you….BUY ONE NOW! Cheap as hell and probably the best suit you will own without walking into Tom Ford. I myself bought the tie from the Istanbul scene and it was lovely! Well worth the price! I am yet to go back there when he opens up shop again in January. was the suit from angeljackets? Really like the knee length coat on roof scene at end of skyfall , think its tom ford but not sure. Any frugal alternatives to this one? David Z ? how about this one as a frugal alternative ?? Link working for me will post again . Have to let you all know that there are replica Orlebar Brown bathers from Industrie for only approx. $60 (Australian). I picked them up from a Live surf shop in Western Australia. I don’t have a link address at this time, when I find it I’ll post it. Thanks for the top website David. Keep up the great work. Neat shirt…but still hoping for a re-issue. I agree with the reissue. David who do i contact at Zara demanding a reissue? I would also like to know how much the shirt is if you know_? I am looking for the cordouys that bond has when he is at skyfall- cant even really figure out what color they are- any help? Just purchased the Levi’s Vintage Clothing1930s Distressed-Leather Jacket from http://www.mrporter.com cost me £637.00 and should be delivered tomorrow. Woohoo I have also pre-ordered the Barbour x Tokihito – Beacon Heritage ‘Skyfall’ Sports Jacket I managed to get the last one available to pre-order £399.95.. Sorry I just realized my last post was not very frugal at all.. Pardon my showing off. To make amends here is a cool site where you can have a copy of the Daniel Craig Skyfall Leather Jacket Made as per your measurements or select from our Ready Sizing options. Hi guys, been doing some digging myself and found this sight, a few things for you guys…for watches around the £100-150 mark, try Rotary on Amazon; I’ve got a Rotary and swear by it. The best alternative I’ve found to the Skyfall Barbour is the Barbour Gladwell which isn’t exactly cheap, but less than half of the X to Ki. John White shoes (I found some in the tailor’s “Moss”) are really nice, good quality, shame about the rubber soles. I have had the “Enjoying Death” chinos since last sunmer and love them, get yourself down there, they’re only £20/25, no excuse not too! I’ve found that the best place for polos is “Howick”, who retails through “House of Fraser”, which is also a good place to pick up knitwear like your QoS TF cardigans and Shanghai v-necks. P.S. Someone asked about the Skyfall mansion corduroys, they are All Saints Iggy Corduane jeans, dyed that colour by the costume department. It’s not perfect, but It’s good enough and in my price range. Also found a good alternative to the Haiti boots, at Target of all paces! They’re out of stock in most sizes at the time of this post, but I’ve contacted them and they say that they’ll be restocking. Baron Boutique has a version of the billy ried out, looks really good. Target also has a wide selection of sunglasses that could almost be passible for the Markos. That’s what my research has turned up. Also @ Matthew, I owned the exact watch you are looking at, it says it is a diver watch but the screw down crown doesn’t make any difference at all. I snorkeled with it once and it had entirely filled up with water. If you buy it, don’t even wear it in the shower. Wow, pea coat is great find! Also a cheaper alternative to the crockett and jones insly. Don’t waste your money on an invicta, I have owned two of them and had both of them die after just over a year and neither of them were cheap. Invicta has bad customer service, no warranty, and cost a fortune to have fixed independently. What I did was shopped around for a while and found a sale on Citizen watches and found a diver style watch that is a good bond look alike, that cost me the price of the two invictas but has a five year manufacturer warranty and a two year retailer warranty. I am much happier with the citizen, it isn’t as flashy but works flawlessly and keeps perfect time. Oh, just found this too. I don’t know much about Casio though. Matthew- Check out the online watch forum watchuseek.com there are tons of very knowledgeable people on there and they helped me decide on citizen. From what I have heard Casio makes a solid watch. H by Hudson Angus tan brogue boots. Lace up, brogue punch detailing throughout, victorian style ankle boot, metal eyelets. What about this for the enjoying death shirt? Same pattern…ish, only one pocket though and not cheap. but a pretty good alternative I think. Agree. Not that it’s a bad shirt. The paisley on the same web page is ok too just not the ED match. Zara had a skulls shirt but not on their site anymore. Again not a match but ok.
Ooh, found some replica Tom Fords. Hello Ladies and Gents…I may have found a something similar to the “enjoying death” shirt…. Hey that’s actually pretty good. Closest thing to the Zara that I’ve seen other than some of the other Zaras. Okay…another discovery guys. I use a Chinese online wholesaler called Aliexpress.com to purchase some household items and fancy dresses for my daughter. In the search tool, I entered “Skyfall” for the heck of it. I found about 30+ listings for knock-off Skyfall Omega watches, but one item piqued my interest: a replica of the Skyfall Barbour coat! I contacted the seller, and she said if they receive enough interest, they will start producing. The price listed is around $210, but she said it would probably be dropped a bit. The seller’s rating is very good for Ali Express as well. Did that aliexpress jacket work out? Any way you’re going to come up with a new frugal Bond video or post soon? Would love to see another! The closest I’ve found to the billy ried yet. Flap pockets, Hand pockets, single vent. The only thing missing is the peak lapels which, lets face it, you’re not going to find on any other jacket. heads up! Other then that, terrific blog! Looks like a relatively accurate alternative to the QoS Haiti jacket. David et al, New Barbour jacket available for pre-order – to ship mid June. Based on Skyfall jacket but without detachable hood. Otherwise very close. $531 plus tax and shipping. Marketed under Commander line, Dept B. Obviously not authentic but cheaper than any of the Skyfall jackets online now. Again, size is the big question. I’m thinking XL for me. Going to order as soon as I confirm all the measurements. Pretty nice post. I simply stumbled upon your blog and wanted to mention that I have really loved browsing your weblog posts. In any case I will be subscribing in your feed and I am hoping you write again soon! Wonderful website. A lot of useful info here. delicious. And certainly, thank you on your sweat! Here is my page … ??? ?? ???? Check out my weblog :: ?????? ?? ???? having a tough time locating it but, I’d like to shoot you an email. in hearing. Either way, great site and I look forward to seeing it expand over time. I favor the dear data anyone give to your posts. Let me search for your own website look once again the following generally. We are realistically a number of I will be explained to several fresh goods listed here! Enjoy for the! I take that back here is the cotton/poly blend version. Hello to every body, it’s my first visit of this webpage; this webpage includes remarkable and really excellent data designed for readers. the skyfall jackets on aliexpress are incredibly well made. my friend had one first and i am following suit. the detail is immense. as good as real. In case you haven seen it, it a lovable Croc, who greets its owners at the door and massages their tired feet..
Hey great resource you guys got here. Still looking for a great alternative to the Billy Ried peocoat. I mean i’ve been putting money to the side for it in preparation for fall but if I can save a couple bucks why the heck not. I bought a really nice, standard peacoat at Joseph A Banks here in the States. Can’t exactly remember the price, probably $200 or so but as you may know JAB has those ridiculous “buy one get three” sales all the time so at least pick up some additional pieces with it. Nicely fitted. Of course it won’t have the Billy Reid quality and touches (esp the collar highlight…) but it’s a very serviceable coat and I wear it over button down shirts with or without sweater. my name sign onie james bond. http://www.celebsclothing.com/categories/James-Bond-Suits/ This sit has alot of James bonds suits for a reasonable price. Hi, firstly great site. Secondly you are a great guy. I’d like to know if anyone knows of a copy or of a real skyfall Barbour jacket that is around £100 I really don’t have enough money for the real thing I’d love just a copy, thanks for any info! Really brother you will not get a skyfall Barbour Real or Fake for £100. Does anyone have a link to the aliexpress replica? Nice jacket i have also found a blog where the Dan Stevens jacket is being talked about. blog and will eventually come back down the road. Would really love some knock-offs of the Tom Ford Henry Vintage Wayfarer FT0248 sunglasses Bond wears in Spectre. Fell in love with them the second I saw them on the screen! I know this web page gives quality depending posts and other data, is there any other web site which provides such data in quality? of them are completed then you might be allowed to vary the IP addresses and do eight other scans. I think your website needs some fresh articles.